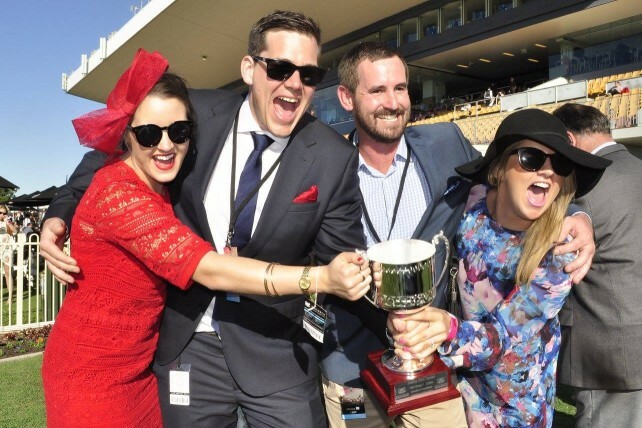 With the lucrative Brisbane Winter Carnival on our door step, Triple Crown Syndications couldn’t be any more excited to be represented with two live hopefuls in the first Group 1 contest of the carnival, the $500,000 BTC Cup (1200m), giving them the chance to go back-to-back victories. Dothraki (yes he was named after the notorious Dothraki war tribe in hit TV series Game of Thrones) and Charlie Boy, fly the red colours under the guidance of Blake Shinn and Damian Browne respectively. Performing best when fresh, Charlie Boy backed up his first-up win in the Group 3 Liverpool City Cup (1300m) on February 27 with a credible sixth in the Group 3 Hall Mark Stakes (1200m) at Randwick on April 16 – recording some impressive sectionals. Looking back, the son of Myboycharlie was in career best form this time last year when he snared the Group 3 BRC Sprint (1350m) on May 9 before finishing a lip second in the Group 1 Doomben 10,000 to 5-time Group 1 winner Boban. Meanwhile Dothraki comes in with a 2½-length trial win (796m) at Warwick Farm on April 29, and it’s worth noting that the imposing chestnut beat home BTC Cup favourite Fell Swoop in the Group 1 Galaxy on March 19. “It’s not often as a racehorse owner you’re fortunate enough to have a runner in a Group 1 race, let alone two, so we’re feeling pretty lucky at the moment. “We’ve managed to experience great success during last year’s Brisbane Carnival so hopefully we can pull this race off again with either Dothraki or Charlie Boy,” said Triple Crown Director Chris Ward. Recently retired Group 1 star sprinter Hot Snitzel of course won the 2015 edition of the BTC Cup (1200m), providing immense joy for Triple Crown connections which included Steve and Debbie Graham who now look after the old warrior at their property. Ironically, the Graham’s also own a share in Charlie Boy and Dothraki and will be in attendance to provide that extra bit of luck.